Best Quality Hotels which are appreciated by traveled guests. Thousands of Satisfied Tourists year after year, every year. 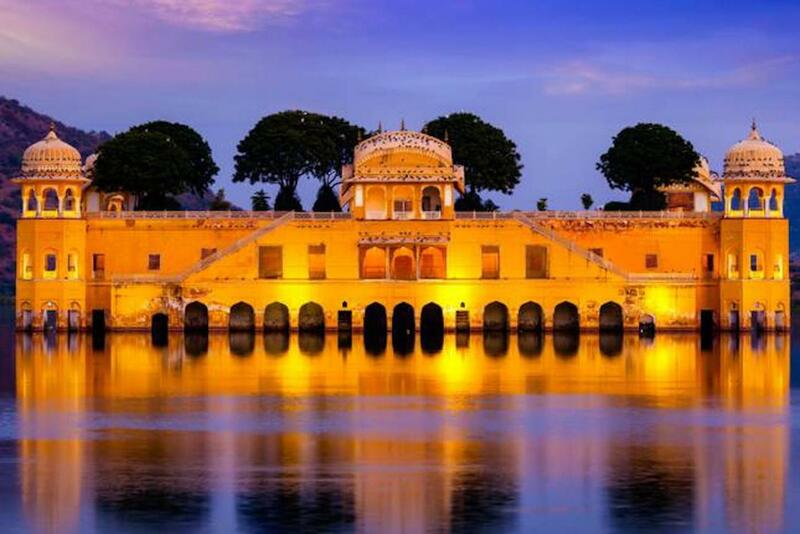 Golden Triangle Tours of India (a unit of Travel With Us) started with the sole objective of providing discerning travellers with an unforgettable experience. Having travelled to different corners of the world, our team has experienced how enjoyable travelling can be and how difficult the same journey can be in the absence of organization. We wanted to strike a chord between intrepid travelling experiences and comfortable journeys. For most part of it, traveling to remote areas is left to backpackers and daring tourists. We feel that even families can enjoy travelling to less-explored places without any worries just like backpackers. This is why we have created a platform that allows travellers to choose from a range of tours where they can explore both popular as well as beautiful places which are yet to gain significance on the map. So when Golden Triangle Tours was created, not only did we want to create tour packages for travellers, but we also wanted to offer additional services like car rentals, hotel bookings and tour guides which can be very helpful for someone visiting a new city or a new country. Most of what we put together came out of experiences of our own. One of our team members had felt deeply discouraged to see certain parts of a country because he did not understand the local language and found it difficult to communicate with the locals. Another member of our team realized that they ended up paying a lot for a local inn because they did not know that they could bargain the price of the rooms in that town. This is what motivated us to build a platform where travellers can enjoy reasonable rates for everything from packages to car rentals to hotel bookings. By partnering with various hotels in different cities and towns we managed to get the best rates and help our clients enjoy affordable room bookings. Our aim is to expand our reach and cover more regions in the world helping more travellers enjoy their trip and worry less about the costs they incur or about trying to find a local guide who can understand their language and interpret for them when required. We are a friendly team of travellers who love to connect with our clients and understand their specific requirements to create a package that will be most suitable for them. The idea is to make travel a more comfortable and enjoyable experience. The idea is to take away stress and worries inherent to travel planning. The idea is to let our clients take the backseat and relax while we ensure that the entire trip is planned smoothly for them. Thank you so much to write a review for us. Your positive review are the source of motivation for me which I am definite to improve further. It was pleasure to offer a services to you and will be waiting for your next trip to India. Wishing you & your family a pleasant and healthy life ahead. Golden Triangle Tours Of India vs Explore!